Welcome to SCUBA News. I hope you find it useful. We love hearing from you - any questions, or to tell us about a diving trip, email news@scubatravel.co.uk. Learn more about the many wrecks of the Egyptian Red Sea. Whale sharks, hammerhead sharks, eagle rays, turtles, giant lobster, coral - just some of the sea life in the Bay Islands of Honduras. Komodo has fabulous diving – from sharks to seahorses, walls, reefs and crazy drifts. 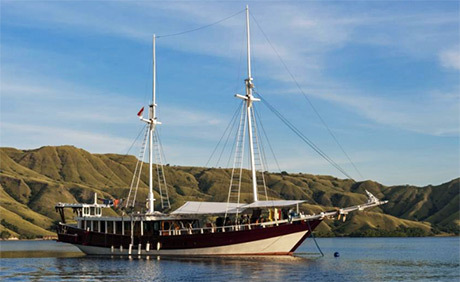 The best way to dive around Komodo is by liveaboard, although you can take day boats from Labuan Bajo on Flores. Which liveaboard to choose? You can’t go wrong with the Duyung Baru. For a start this liveaboard takes just six divers in three cabins. With the co-owner and dive guide Vovo Korth taking a dim view of crowded dive sites, often the seven of you will be the only people in the water. Vovo’s wife Yani is the captain and cook. Her food is delicious, created with care and love. She gets up at three in the morning to make fresh bread for breakfast – from loaves to croissants. 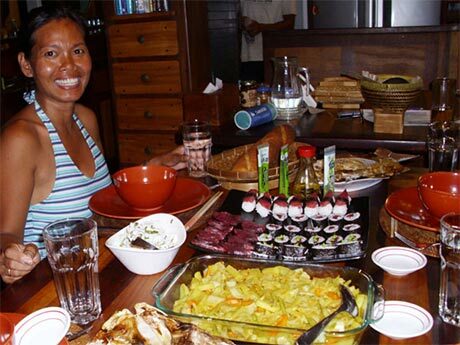 Not only a great cook, she is most friendly and welcoming. Vovo bought his first boat in 1998 and called it the Duyung – Indonesian for mermaid. He has been sailing Indonesian waters ever since. When he and Yani started the liveaboard operation around Komodo only one other boat was operating, and Vovo made many exploratory dives. He has an intimate knowledge of the dive sites of Komodo with their wild currents, including a couple of “secret sites”. The boat is 27 m long with two masts – a beautiful looking craft. Nitrox is available. Finally to the diving. This is world-class. 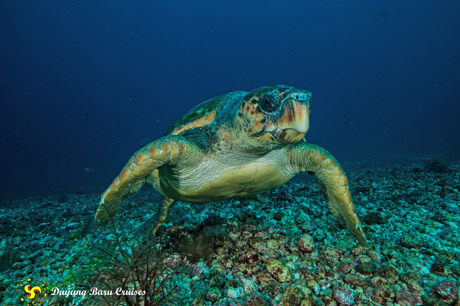 Sharks and turtles on nearly every dive. Eagle and manta rays. 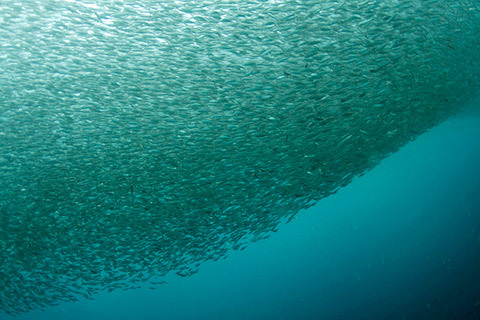 Many huge shoals of fish. Corals in excellent condition. 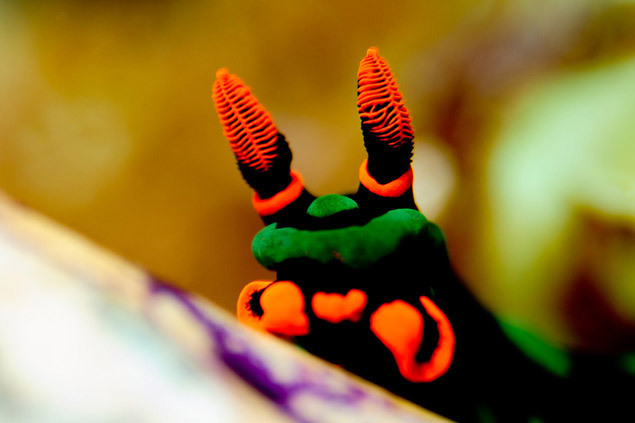 There are also dive sites for those liking the smaller stuff – seahorses and frog fish. The boat doesn’t have a set routine of dives – it depends on the type of dives that the divers on board want to do. If you really want to see that seahorse and not another manta ray, then you’ll have to sell it to your fellow divers. The boat is only for experienced divers. Vovo likes you to have at least 75 dives. I would go further and say that you need to have experience of currents. The diving in many sites is not easy – the currents are fierce, especially at full and new moon (which is why there are so many large fish there). It is assumed you know what you are doing. At the beginning of the trip is an easy dive or two to practice using a SMB (surface marker buoy or “safety sausage”). Not until Vovo is satisfied that you can use the SMB will he take you on one of the the more challenging dives. That way if you should get separated from the group the tender will easily see you and pick you up. A wonderful trip which I highly recommend. There have recently been two tragic events in Indonesia: the earthquake on Lombok and the earthquake and tsunami on Sulawesi. Our thoughts go out to those affected. Indonesia is a huge country though, and the diving in Komodo and around other islands is untouched. If you would like to donate to the Indonesia Earthquake appeal you can do so via the Red Cross or Oxfam. Some stunning underwater photographs were the winners of this year's SoCal shootout. A team of divers have discovered the Lake Serpent, a 47-foot schooner last seen in 1829. The cleaner wrasse appears to have passed the mirror test - a standard test of self-recognition. If the finding holds, this humble fish will join a very exclusive club. Which tea bags are free from plastic? t came as a surprise to most people to learn that even tea bags contained plastic. Discover which brands don't. Levels of some persistent organic pollutants (POPs) regulated by the Stockholm Convention are decreasing in the Arctic. Thailand has declared that no more than 525 divers can visit the Similans on any one day. Many tour operators opposed the move but the more responsible dive operators welcomed it. 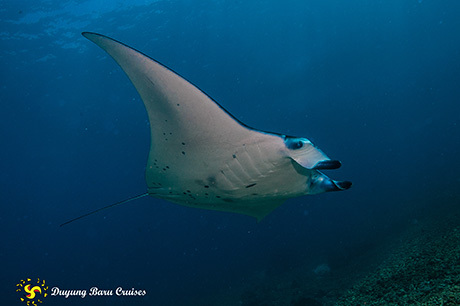 It means you will need to book early to dive the Similan Islands.